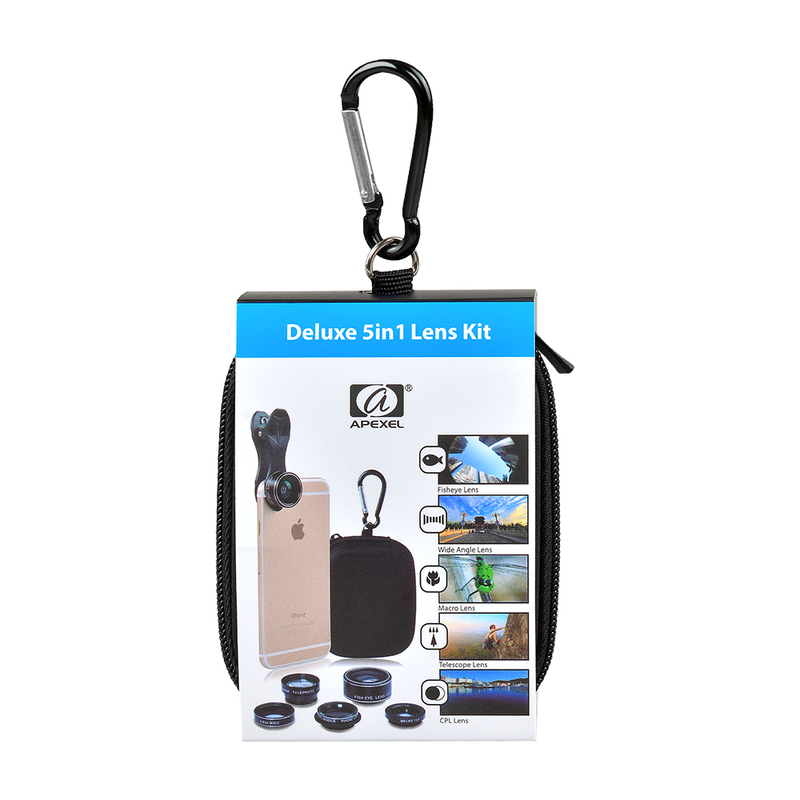 Portable and detachable, you can take photos with your devices at any time, anywhere. 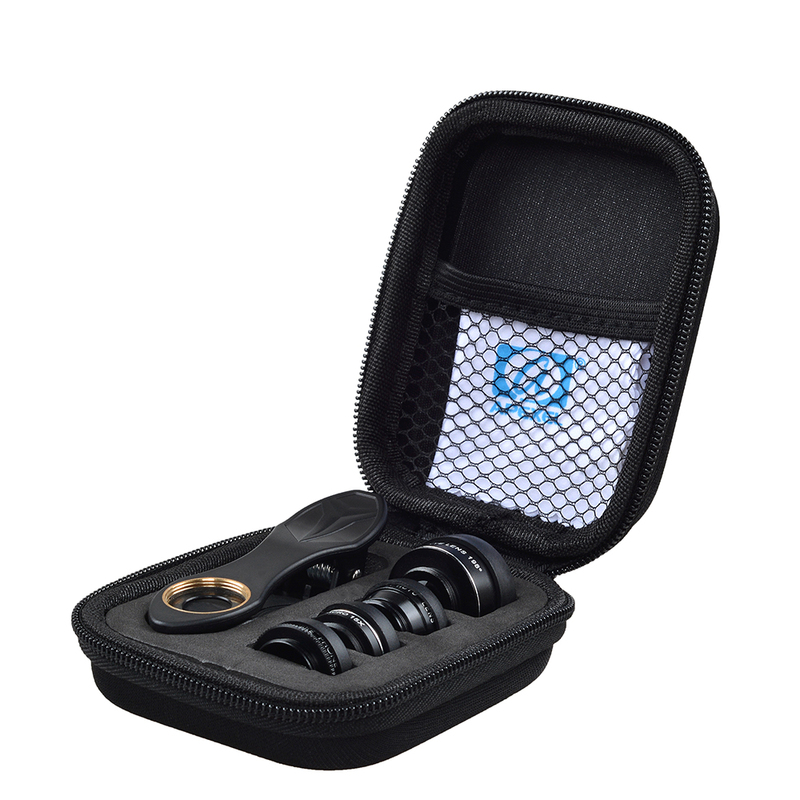 Suitable for most types of cell phones that are no more than 13 mm in diameter. The flash is blocked when the lens is in use. 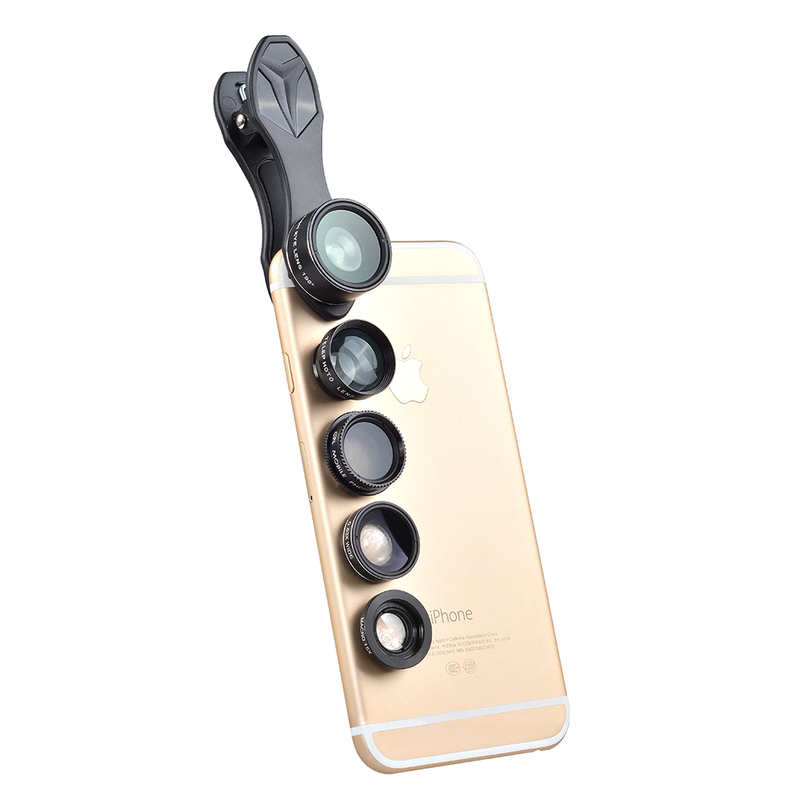 This is a 5 in 1 phone camera lens kit with 5 lenses. 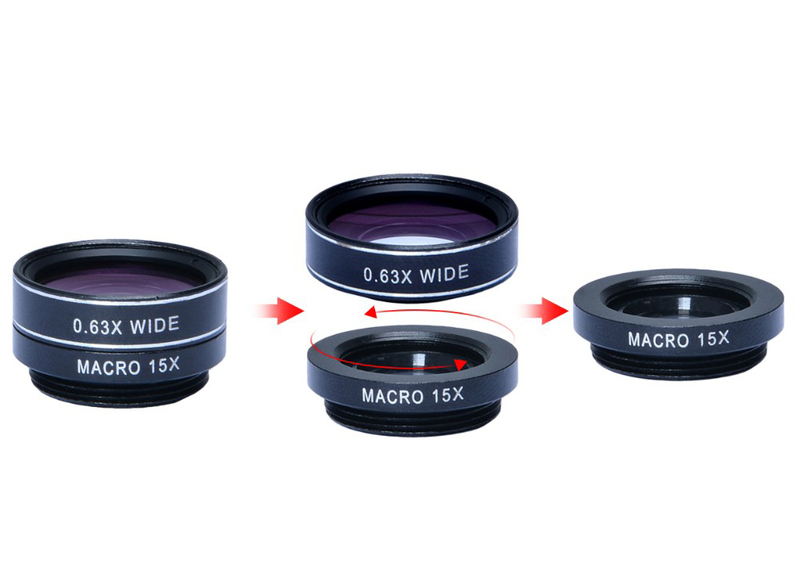 The wide angle lens and the macro lens are two individual lenses that are screwed together and can be unscrewed to obtain two separate lenses. 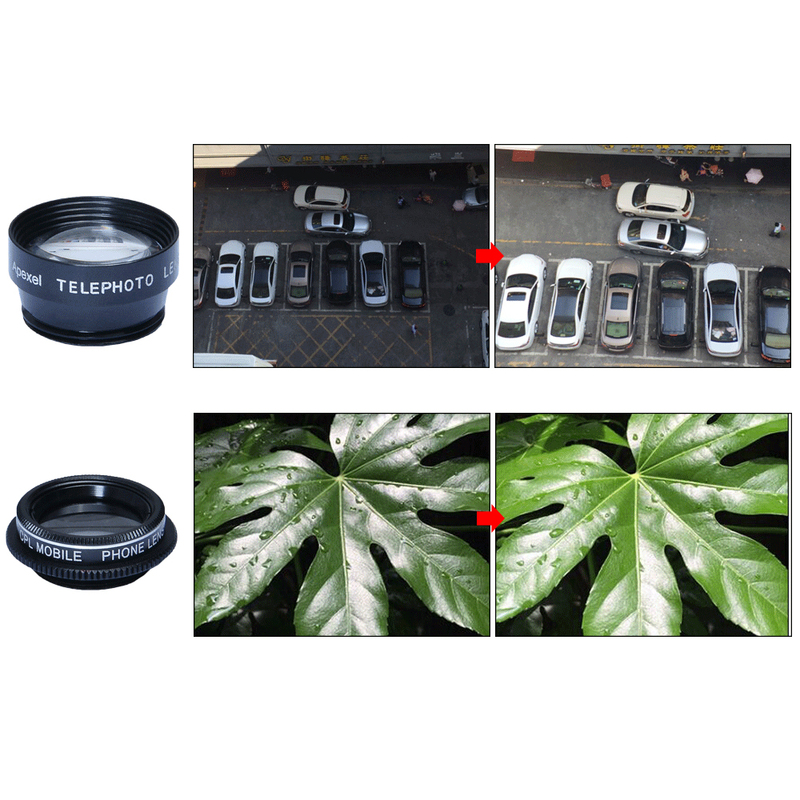 0.63X wide angle lens – perfect for capturing more of the world around you, allowing you to take photos of landscapes and group photos easier than ever before. 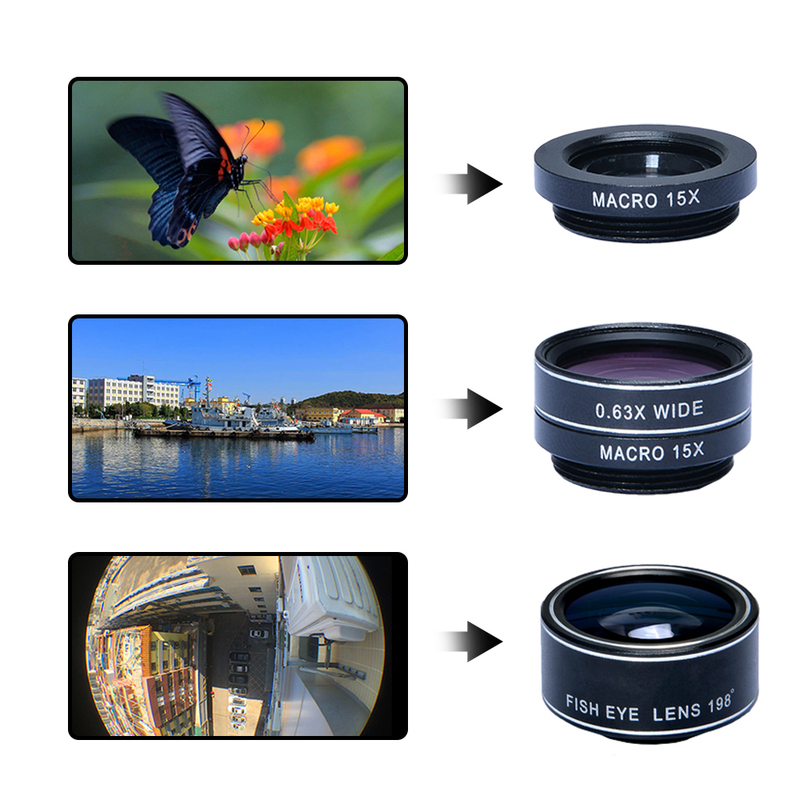 15X macro lens – allows you to take shots extremely close to an object; great for taking shots of small items to view every last detail up close. 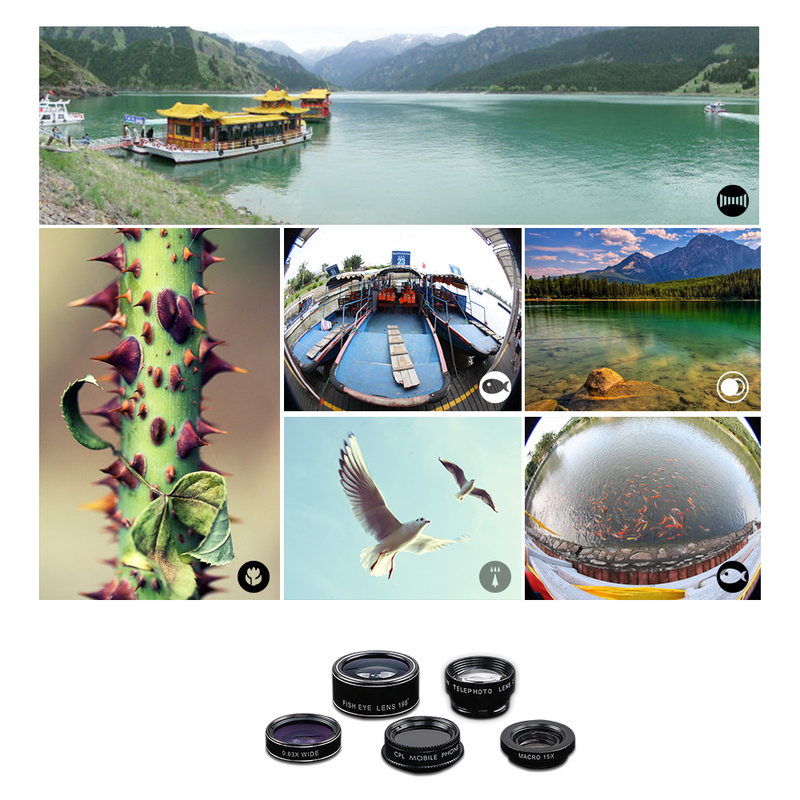 198 degree fisheye lens – distorts the image to create an artistic effect for extremely wide panoramic views up to 198 degrees. 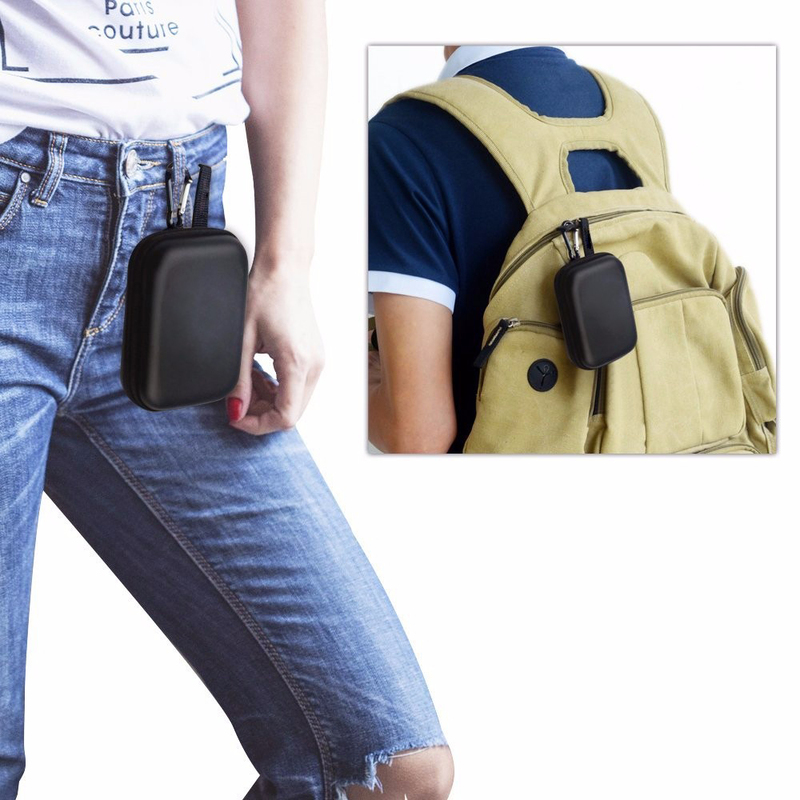 Easy packing: portable and convenient, you can take it anywhere you want to go!